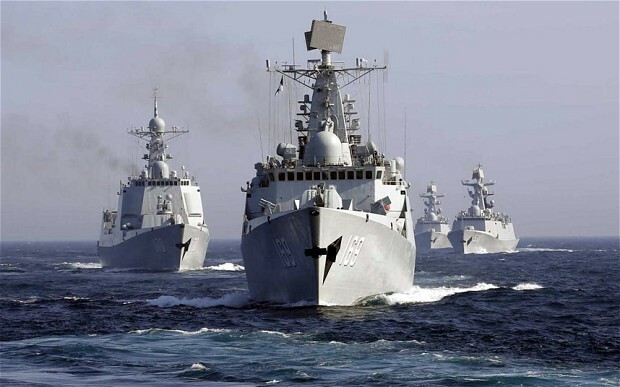 RED CHINA – RED ALERT – RED DRAGON COVETS ARCTIC: CHINESE NAVY DESTROYER WUHAN LEADS FIVE-SHIP SURFACE ACTION GROUP FROM CHINESE PEOPLE’S LIBERATION ARMY NAVY OR PLAN AS THEY MOVE INTO BERING SEA FOR THE FIRST TIME IN US HISTORY. Five-ship Surface Action Group, three combat ships, a resupply vessel, and an amphibious ship, from Chinese People’s Liberation Army Navy or ‘PLAN’ for the first time in US history are spotted in Bering Sea while US President Barack Obama is visiting Alaska. RED CHINA – RED ALERT – RED DRAGON COVETS ARCTIC. 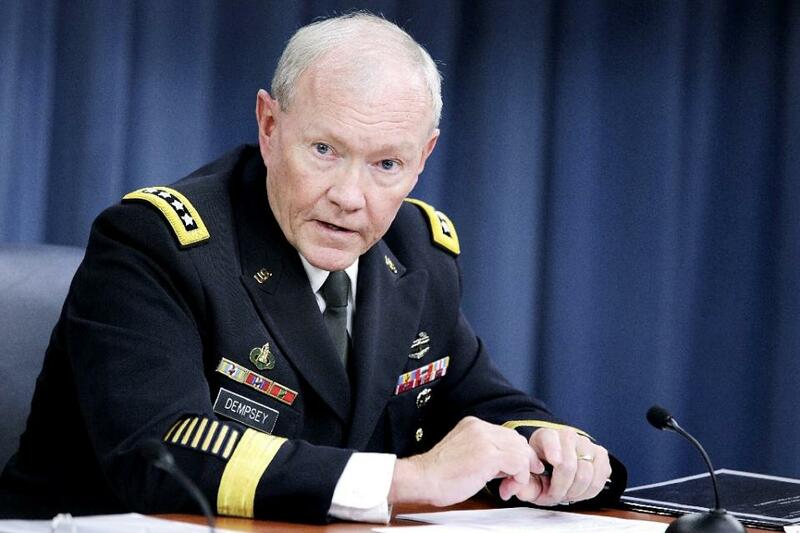 US JOINT CHIEFS OF STAFF GENERAL MARTIN DEMPSEY BRIEFED NEWS MEDIA AND FAILED TO ACKNOWLEDGE RED DRAGON’S INTENTIONS IN BERING SEA AND IN ARCTIC OCEAN. US General Martin Dempsey assured news media that these Chinese navy vessels do not pose any threat to United States while they use international waters in close proximity to Alaska. Some news analysts have speculated that Red China is flexing her muscles to retaliate for US naval presence in South China Sea. In my view, Red Dragon covets Arctic to exploit its vast energy resources. Red China’s policy of Economic Expansionism aims at controlling world’s natural resources for her own economic advantage and to dominate nations of the world. RED CHINA – RED ALERT – RED DRAGON COVETS ARCTIC: Red Navy Missile Frigate Yancheng. 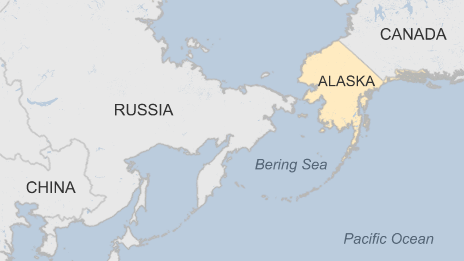 Five Chinese naval ships are currently positioned in the Bering Sea off the coast of Alaska, US officials confirm. 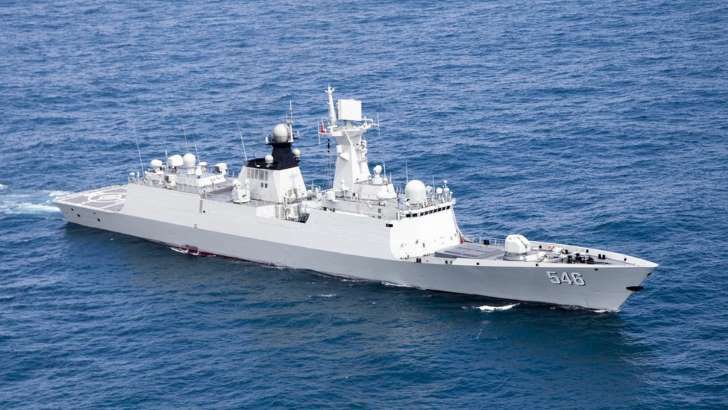 It is believed to be the first time Chinese military vessels have been seen operating in the area. Officials say they have been monitoring the ships’ activities, but said they were operating in international waters. In recent years Beijing has taken a more assertive stance on maritime territorial disputes with Japan and South East Asian nations. US defence officials have spotted three Chinese combat ships, a supply vessel and an amphibious ship moving toward the Aleutian Islands which is split between Russian and US control, according to the Wall Street Journal. They were seen not far from where US President Barack Obama is visiting as part of his three-day tour of Alaska to raise awareness of the effects of climate change on the state. “We are aware of the five People’s Liberation Army Navy (PLAN) ships in the Bering Sea. This is the first time we have observed PLAN ships in the Bering Sea,” US defence department spokesman Bill Urban told the BBC on Wednesday. “We respect the freedom of all nations to operate military vessels in international waters in accordance with international law,” he said. Another official told the Wall Street Journal the defence department did not “characterise anything they’re doing as threatening”. Peter Dutton, director of the China Maritime Studies Institute, described it as a big advancement in the way Chinese ships operate. But, he tells the BBC, “it’s not a surprise in a sense that the Chinese have been continually expanding their presence in Eurasia”. RED CHINA – RED ALERT – RED DRAGON COVETS ARCTIC: WHAT ARE RED CHINA’S TRUE INTENTIONS IN BERING SEA??? China wants to rewrite international maritime laws so that they are more favourable to its own interests, particularly in the South China Sea where rival countries are wrangling over territory, Mr Cronin adds. China this year boosted its defence spending in a bid to modernise its forces, including developing stealth fighters and anti-satellite missiles, a move that has unnerved the US and its allies in the Asia-Pacific region. President Xi Jinping will on Thursday preside over an enormous military parade in Beijing in commemoration of China’s World War Two victory over Japan 70 years ago.